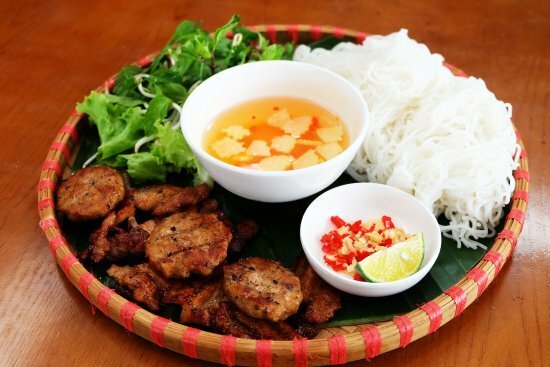 Vietnamese cuisine has been placed among the 15 most-favored cuisines in the world in a survey conducted by YouGov, a UK-based global public opinion and data company. Conducted from May to December last year, the survey revealed the 34 most popular national cuisines in the world after collecting responses from 25,000 food lovers from 24 countries and territories. Fifty-five per cent of respondents selected Vietnamese food as among their favorites, putting it in 13th position - slightly ahead of Hong Kong and Taiwan, with 54 per cent and 50 per cent, respectively. Regional neighbors Singapore, Indonesia, and Malaysia followed, with 49 per cent, 49 per cent, and 48 per cent, respectively. Italian food topped the list, with 84 percent, then Chinese, Japanese, Thai, French, and Spanish cuisine. Vietnamese cuisine has become more popular around the world in recent years thanks to international chefs and prestigious food magazines praising several national dishes. Its iconic noodle soup, “pho”, has appeared on many lists and was most recently named among the world’s 20th best food experiences by world travel guide book Lonely Planet and among the world’s 15 best foods that are easy on a globetrotter’s pocket by travel site Rough Guides. In 2017, it was listed among the world’s 50 most delicious dishes by CNN, based on a vote of 35,000 people. Another dish, “bun cha”, charcoal-grilled pork patties and pork belly slices with rice noodles and herb garnish, became known as must-try street food after former US President Barack Obama enjoyed a bowl during his visit in 2016 with famed chef the late Anthony Bourdain. National Geographic also honored “bun cha” as the one of top 10 delicious street foods in the world. One more popular street food, “banh mi”, or Vietnamese bread rolls, which are readily found on street corners, was listed in the top 20 street foods in the world by Fodor’s Travel, a US travel site. “Banh mi Hoi An” (Hoi An-style bread rolls from the ancient town of Hoi An) was also listed among the world’s Top 10 sandwiches by Austrian travel website Traveller. Earlier this year, when the DPRK-US Summit took place in Hanoi, CNN also recommended five of the best dishes in the capital, including “cha ca” (fish cooked with turmeric and dill), “banh tom” (shrimp cake) made from freshwater crayfish or shrimp from West Lake and flour and sweet potato, “bun ca” (fish noodle soup), “bun rieu cua” (crab noodle soup), and “ca phe trung” (egg coffee) - a special drink served at the summit. In 2017, Hanoi and Ho Chi Minh City were named among the world’s best food destinations by Caterwings, a site that offers online food ordering services in Europe.